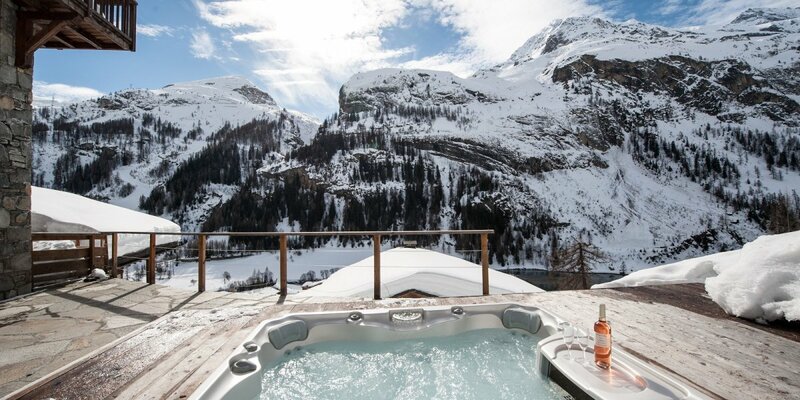 Chalets du Belvedere, Tignes les Brevieres, French Alps, sleeps 4-42 in 21 bedrooms. Available individually or in any combination. 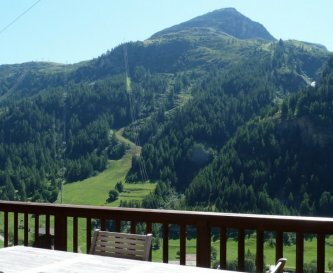 These 2 chalets and 3 duplex apartments all offer a very high standard of accommodation with free WiFi and UK Freeview TV channels. 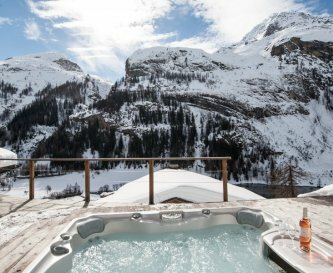 All have a terrace with stunning views of the slopes and mountains, and Powder Ridge chalet has a hot tub. Powder Ridge and Snow Ridge chalets are spread over 4 floors. 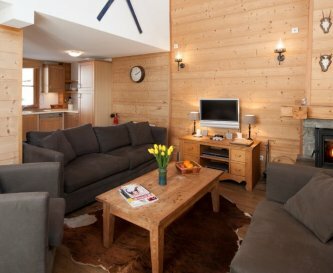 The living room on the top floor has a well-equipped kitchen area, lounge with fireplace and sun terrace. Powder Ridge has a heated deck with funky lighting and hot tub. The 3 apartments all have a well-equipped kitchen, living rooms with squashy sofas and oak dining table, and access to a terrace. The Homewood apartment living room has a feature painting. 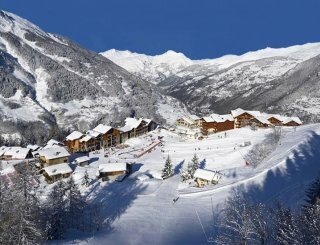 Les Brevieres is in the Espace Killy, one of the world's largest ski areas with 300kms of slopes for all abilities, as well as extensive off-piste terrain. 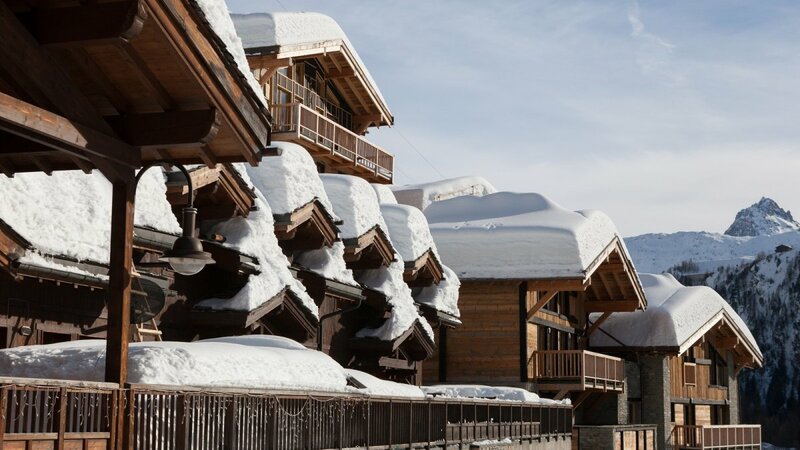 The village offers a choice of restaurants and bars, equipment rental shops, newsagent/tobacconist, post office and its own ski school. The area is famous in the summer for road cycling - the local Cols often feature in the Tour de France, mountain biking, hiking and white-water rafting. There is a golf course, tennis courts, a pool and water sports on the lake. There are some lovely local fetes too for those less sporty. And of course, the stunning mountain scenery will take your breath away. Our well-informed resort team are happy to organise activities, lessons/guiding, passes, equipment rental, childcare and catering in advance or in resort, making it as easy as possible for you to enjoy your holiday to the full. The well equipped modern kitchens have been fitted with top quality appliances including hob, oven, fridge-freezer, dishwasher, microwave. 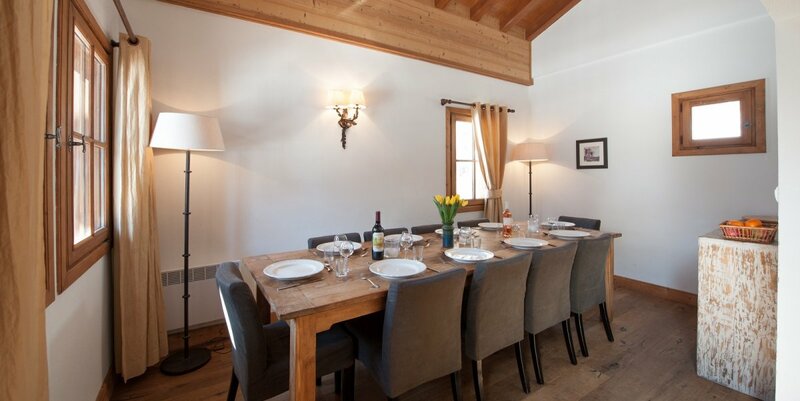 Each property has a lovely old oak dining table seating 8 in the apartments and 12 in the chalets. The living rooms all have adequate comfy seating. Both chalets have a fireplace and Cottonwood apartment has a log burner. All the properties have a flat-screen TV, DVD and music player. All properties have free WiFi. Powder Ridge & Snow Ridge chalets have a fireplace and Cottonwood apartment has a log-burner. Logs are provided. All properties have central heating. A mix of doubles, twins (some zip link for flexibility), and bunks. Several are en suite. Bed linen, towels and tea-towels are provided and the beds made for your arrival. Mix of baths and showers. Many are en suite. 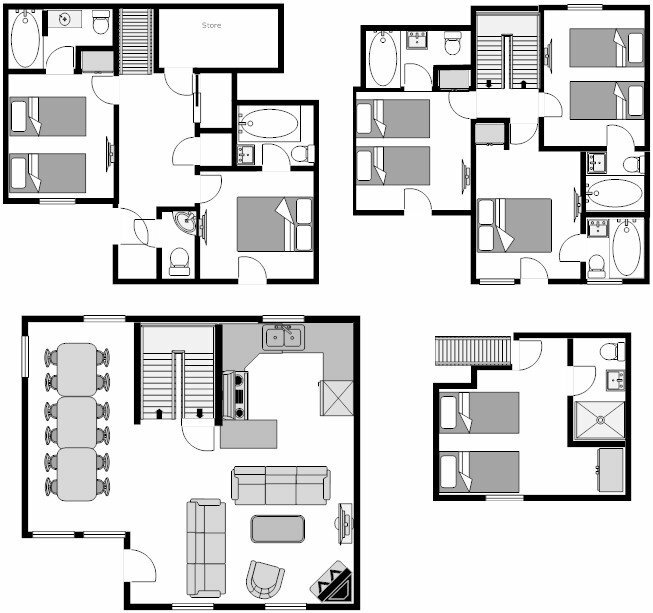 The 3 apartments are accessible to disabled guests but they are not specially equipped. Cots and high chairs are provided free of charge on request and we have a nanny service. All properties have a terrace with garden furniture and barbecue (on request). 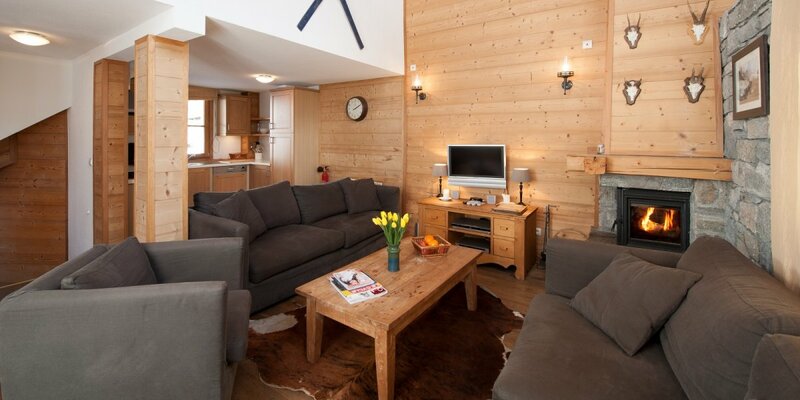 Each apartment has 1 reserved space in the communal garage and the chalets have 2 spaces. Smoking is not permitted inside the properties. Pets are accepted at Cottonwood apartment only. 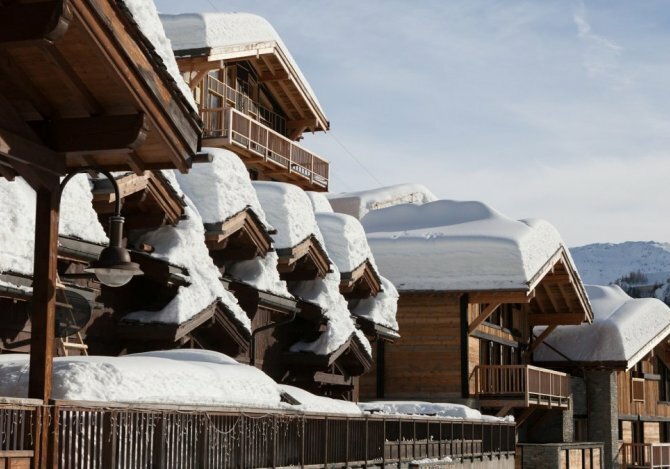 Le Belvédère is a luxury development of ski holiday chalets and apartments, close to the slopes and village centre at Tignes Les Breviérès. Prices are in Euros and are for 7 nights self-catered accommodation. Prices vary depending on the week. Catering is available. 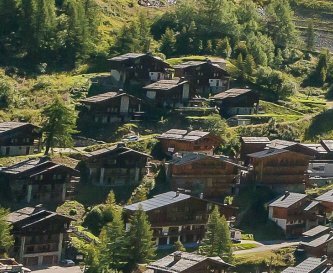 Tourist tax €1.65 per adult per night in apartments, €2.48 in chalets. Changeover days are Saturday or Sunday. Short breaks may be possible in non-peak weeks. Bourg St Maurice (winter Eurostar service).